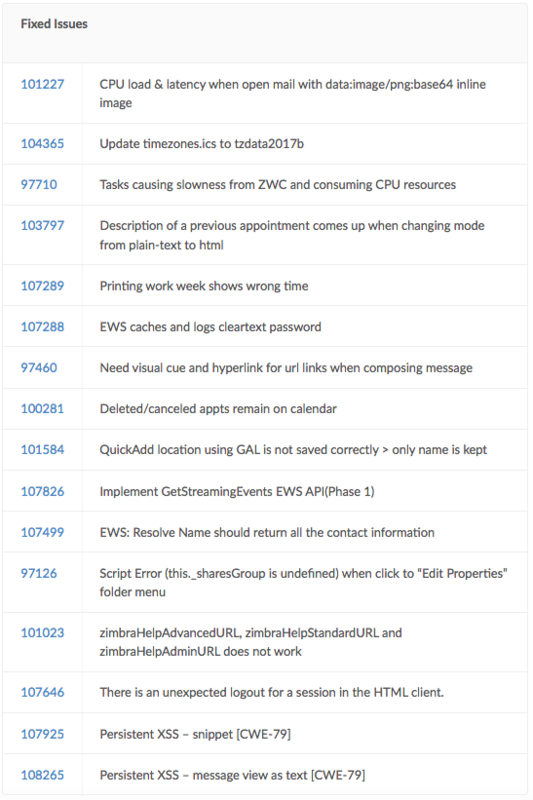 We are thrilled to announce a new Patch for Zimbra Collaboration 8.6, which includes one medium Security Issue fix plus fixes EWS and much more. If you had issues with some of the mentioned Bugs, please download the Patch 9 now. All Zimbra Collaboration 8.6.0 sites are recommended to install this patch. Patch 9 is cumulative with all the previous five patches, so only Patch 9 is required in case you didn't installed the previous ones. There is no automated roll-back.